Lock in freshness with the Dart C95PST1 9" x 9 1/2" x 3" ClearSeal clear hinged lid plastic container. Give your customers the ultimate experience by letting them take home salads, sandwiches, cookies, pasta, and more with this clear hinged container! 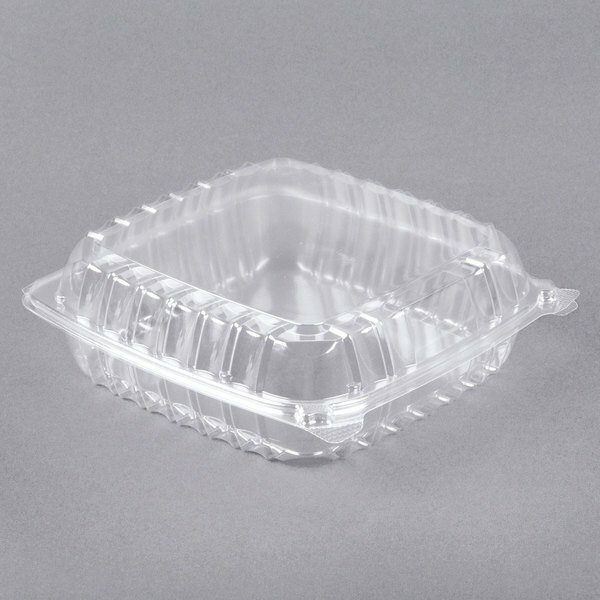 Comprised of OPS plastic, these containers are perfect for delis, concession stands, food trucks, cafes, and any food service establishment that offers take-out. Click the button below to add the Dart C95PST1 9" x 9 1/2" x 3" ClearSeal Clear Hinged Lid Plastic Container - 200/Case to your wish list.